Indianhead Mountain – Western U.P. Don’t miss our ANNUAL BLOW-OUT SALE on Labor Day Weekend! – 30-50% OFF most of of last year’s winter jackets, fleeces, pants, kids clothing, boots and shoes, plus select hats, gloves and more. – Clearance on The North Face, Columbia, Swix, Salomon, Patagonia, Merrell, Kari Traa, Bjorn Daehlie, Smartwool, Skhoop Skirts, and more. – Big sale on cross country skis, boots and ski packages from Fischer, Salomon, Rossignol, Atomic, and Alpina. That includes clearance skis and deeply discounted rep samples like the Salomon S-Lab Classics at over 50% off MSRP, plus the all new recreational touring skin ski from Rossignol, the Evo R-Skin Evolution Package, on sale for 33% off MSRP! – Your chance to score NEW winter clothing and ski gear that none of your friends have seen yet, including cold-weather lifestyle and activewear from The North Face, Patagonia and Columbia. – You also get first crack at this year’s skis, boots, bindings and poles from Fischer, Rossignol, Salomon, Alpina and more. And let me tell you, it looks gooooooooood. 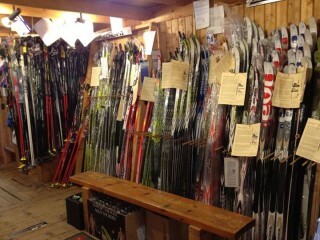 – Best of all, our staff of friendly ski freaks is ready to help you pick out all the right gear that is perfect for YOU. – Did we mention Donnie the dog will be there? Btw, the ski trails are beautiful! Bring your bike or take a hike when you come to check out the sale. You won’t regret it! 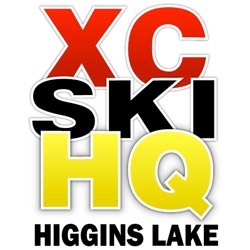 Below are the latest postings from the Cross Country Ski Headquarters Page On Facebook. What a great ski season! Carole Walker you need to take up Cross Country Skiing!! Right in your neighborhood! Might see Ernie if he can get the mini-van up the hill. Do you also groom tracks for cross country? 4th & 5th Graders Ski FREE!